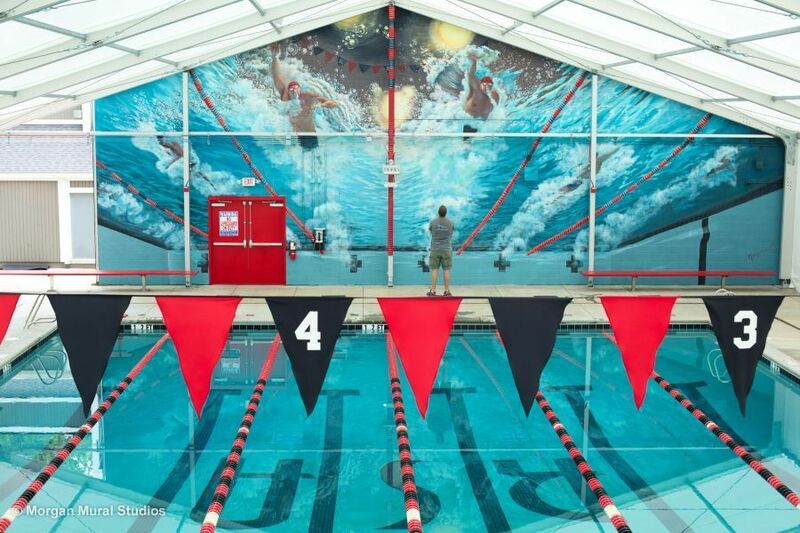 To meet updated building codes, this renovated Olympic swim center in Raleigh, North Carolina was required to build a firewall in between the three pools and the recreation center. 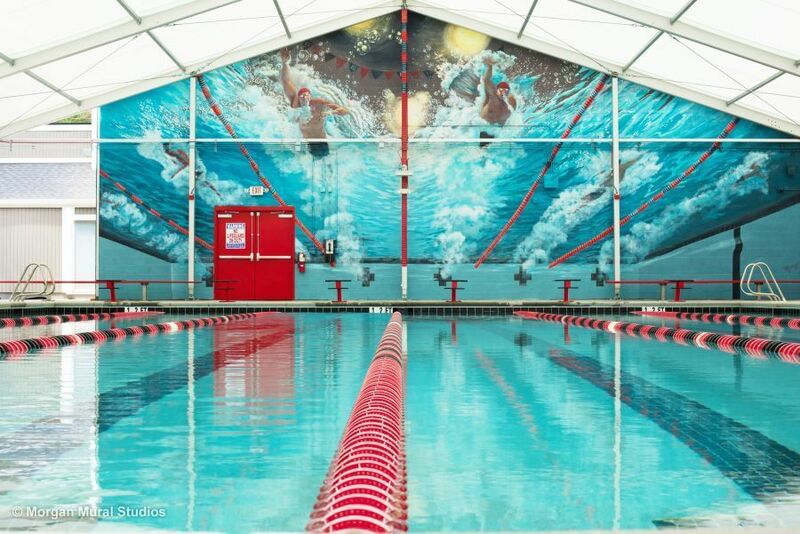 What do with a 60′ x 25′ freestanding wall in the middle of a swim center? Paint a mural, of course! My aim with the mural was to inspire the daily swim practice with a vision of greatness and celebrate the thrill of the race. 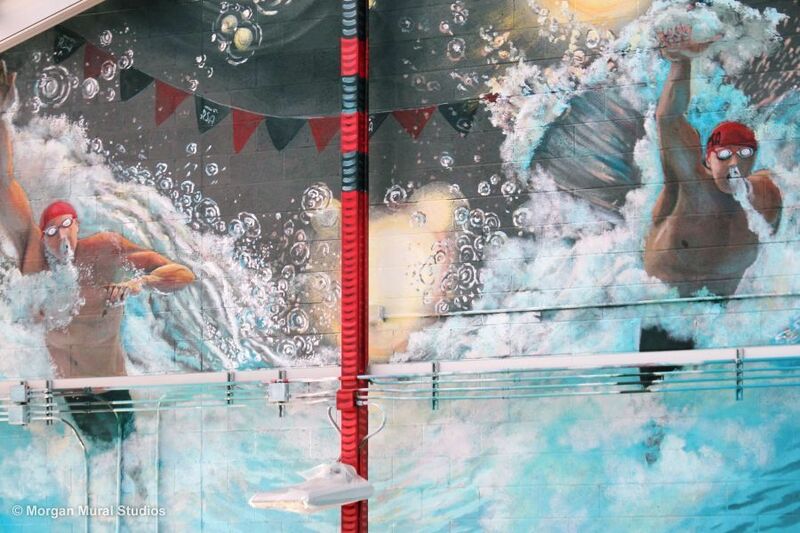 Click here to see the time lapse video of the mural creation. 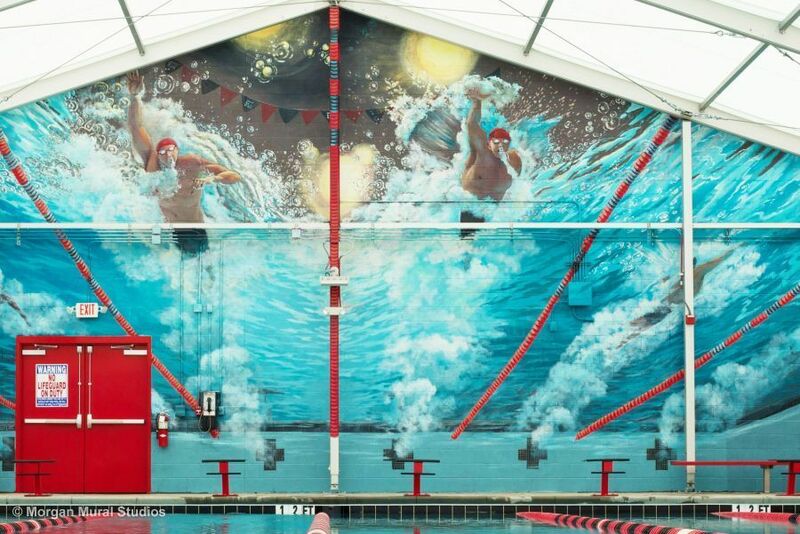 For more information about this mural project, read my blog post I Rocked it in Raleigh!.